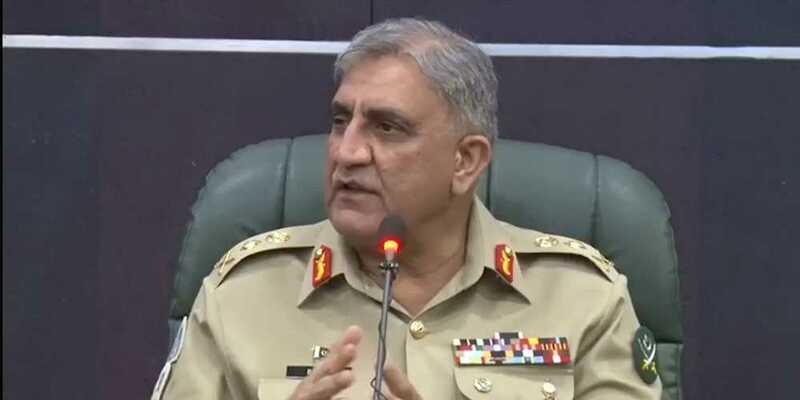 The Chief of Army Staff General Qamar Javed Bajwa expressed his confidence and optimism that, given their potential, Pakistan’s youth will lead Pakistan to a new era of peace and progress. The army chief made these remarks while addressing and interacting with youth during their ongoing annual internship program at the Inter-Services Public Relations Directorate on Monday. While speaking on the occasion, the COAS said that Pakistan is blessed with the most talented and vibrant youth and the future of Pakistan belongs to them. He said that the state is committed to weeding out extremism and terrorism for which youth has an important role to play. General Bajwa said that the nature and the character of war have changed, with the youth being the prime target of our enemies in the hybrid war. He advised the youth to stay determined and defeat all such threats to take Pakistan forward to its rightful destination. The COAS said that education is the bedrock of the country’s progress and prosperity, adding that the Pakistan Army is determined to provide wholehearted support towards this state objective.